Here is the new version of greatest CCK for Joomla - Cobalt 8.591 with a lot of fixes and improvements. fix - cobalt - module categories dropdown template, show records without any categories and template select. New version of Emerald 9.281 - Joomla coolest membership paid subscriptions extensions. Starting from Joomla 1.0 (JContentSubscription) Emerald is the most innovative membership extension. And I think the only extensions that allow users to subscribe without registration process. User only enter email and continue to payment. Emerald takes care of everything. It creates account, subscription, send all needed emails to user. New version of Cobalt 8.581 - Joomla incredible CCK is here. 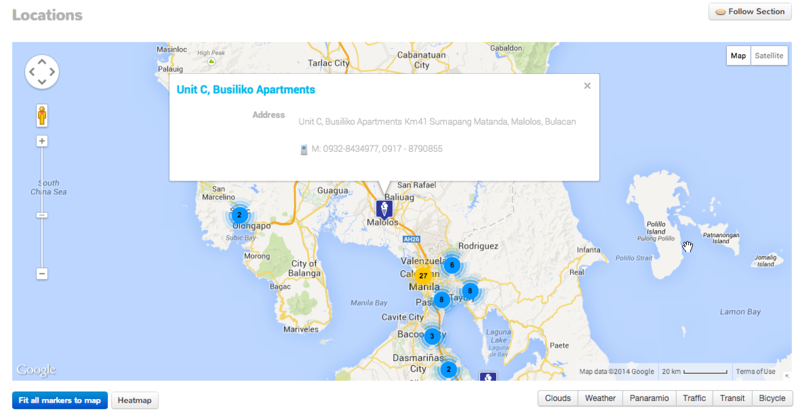 In this version we improved Address & Map (geo) field. This field already can do a lot of things. 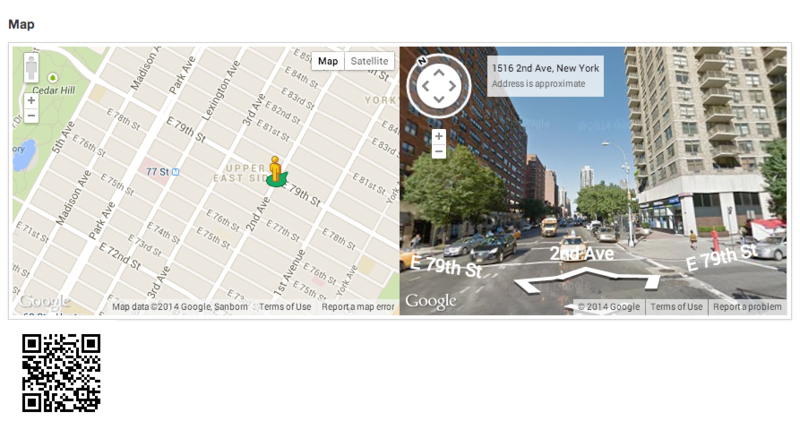 Save address, contact details, map position, fill address from map position or vise versa. New version of amaizing Joomla CCK - Cobalt 8.579 is here. add - cobalt - cluster size parameter for map template. 26 Июня в Москве прошел Joomla Day Russia. Вот небольшой отчет. На этом событии были представлены как Кобальт так и Изумруд. Изумруд представил всем известный Александр Куртеев автор видео уроков на Mighty Membership - прототип Изумруда. А Кобальт представил Василий Асмуз. Он пользуется кобальтом с самого начала, и знает о нем все. Вот посмотрите его доклад. New version of most advanced and oldest CCK for Joomla 3 - Cobalt 8.573.
change - User name in sales and search by username too. fix - article expiration notification. enhance - geo field address from marker mechanism. fix - cobalt - fulltext search for composite title. add - translate aliases through language keys. Here is the latest version of amazing Joomla paid membership extension - Emerald 9.274. Sinсe Emerald is such an amazing membership extension, and many other people just want to move their existing membership extensions to Emerald, we added another one click migration. Here is the new version of winner Cobalt 8.565 - CCK for Joomla. Here is the new version of Emerald 9.266 - Joomla membership component. Enhanced new mechanism to update DB structure. Joomla has it's own mechanism but it was proven that with this approach you may fall into all sort of problems. For example you update extension, your ALTER queries was applied, but then something ant wrong and update report failure. New version of most flexible CCK in the wold is here: Cobalt v. 8.555. Lucky number folks! Download and try it and may get your luck. Luck of been able to do all your projects requirements. Luck of been able to do things you could only dream about before. add - new event - article waits for approval. add - cobalt - item label in section params for notifications. New version of amazing Joomla membership subscription extension - Emerald 9.251 is here folks. The noticeable feature in this real ease is a donations. Now you can set plan to be purchased as donation. 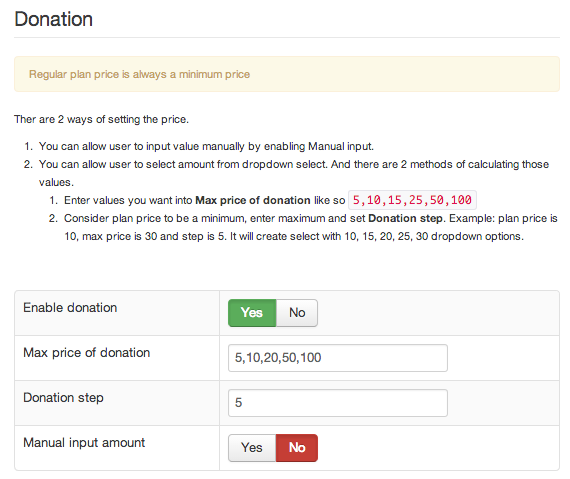 You can allow user to enter donation amount manually but always limit minimum. Or you can allow user to chose amount from the list. Donation plans have different button in the list. New version of Joomla Membership subscription extension - Emerald 9.246. In this weekly update we added Joomla search plugin. Now user may find subscription plans, right in a global Joomla search. Another improvement is Benchmark Email integration. Before it required PEAR XML_RPC2 package with made it complicated for few our clients on servers with PEAR restricted. New version of Cobalt 8.550 - most advanced Joomla CCK - or other words alternative content manager. One of the most noticeable addition this week is a street view in geo fields. It can automatically detect is there a data for street view or not, and show it by the map in horizontal or vertical layout. Welcome Emerald 9.244 - the inimitable Joomla membership extension! In this new version we introduce our new innovative feature called RDS. This is abbreviation of Registration During Subscription. Note! This is not the same as subscription during registration (SDR). When it is SDR, user select Emerald subscription plan on registration form. But with RDS, there is not registration form. User simply pay a subscription without registration. Benchmark Mail and MailChimp Joomla integrations are here! We are happy to announce new cool Joomla integrations. Both are the same purpose but simple work with different services. Those are benchmark mail and Mailchimp. You will ask: "Are there already integrations for those services? Those sounds as well known and popular services! There already have to be something." The answer is: "No". There is no integration like this. Here is new version of Cobalt 8.542 - fascinating Joomla 3 CCK that can do anything you want. We do not publish announcement in our blog every week, but we continue to release new versions every Thursday. So, if there is no news, you can still do and download latest updated version. In this version coolest addition is the Robokassa payment gateway. This gateway does not support multiple vendors, but works perfect and absolutely FREE. New awesome update for Emerald version 9.221 is here with lot of new features. In this version we included new migration plugin. Now you can migrate from OSE Membership to Emerald 9 with one click! All your plans, customers and even their billing info will be migrated. New version of Cobalt 8.531 - amazing Joomla alternative content editor is here. One of the most interesting highlights is new Emerald integration. add - cobalt vip status by emerald subscriptions. Cobalt may append VIP icon to the user name according to user status in Emerald. There are 3 icons. Gold icon - For those users who in total purchased more than $X amount indicated in parameter. Silver icon - For the rest users who have at least one active subscription. New version of Cobalt CCK 8.255 with cool new features is here! add - html field - limit and hide part of the text in full view. Unhide/slide down on read more click. add - cobalt - all fields with uploads now have special parameter that allow autostart upload immediate after file is attached. add - events - now you can control and change any event text per section in section parameters. fix - gallery - animated gif resize. Here is the amazing new version of great Joomla membership extension Emerald 9.209. The unicity of Emerald that it already can restrict anything without even need for special integration. Works out of the box with any Joomla extension. But there was a limitation. It could restrict only whole page access and there was no way to restrict part of content.